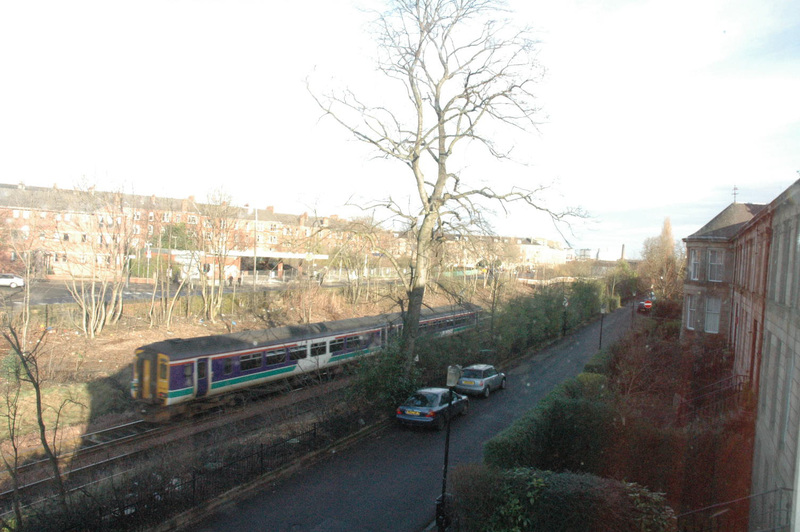 The line of the boundary between the railway line (Network Rail’s property) and Moray Place has been an issue of debate for some time, most notably when Network Rail began clearing vegetation from the line in 2004-05. 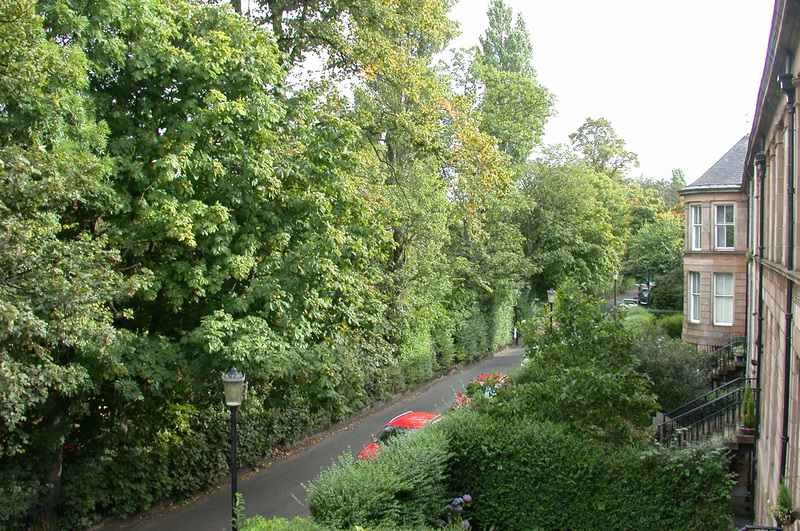 Same view, 2005 after vegetation management. The one remaining tree was removed shortly after. 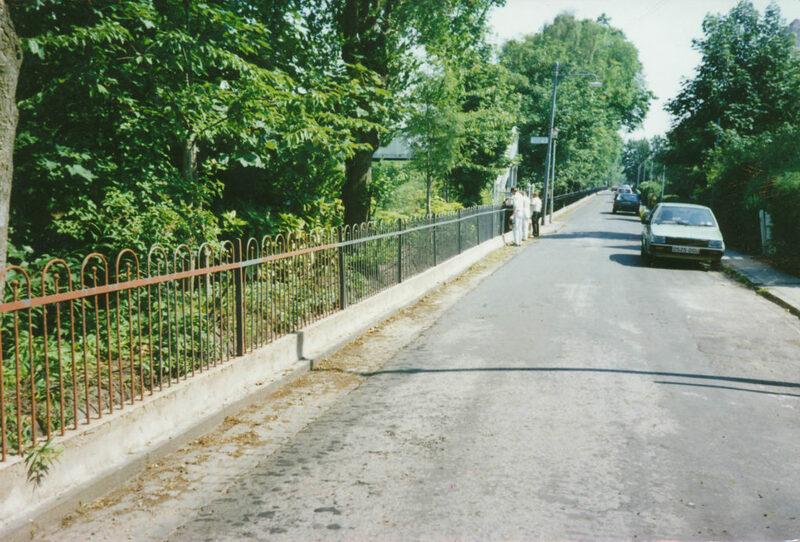 More recently they proposed further vegetation clearance to renew the boundary fence in January 2015. They planned to remove the metal hooped fence and replace it with a 1.8m high weldmesh fence in the same location. However residents suspected the hooped fence was not on Network Rail’s land. Negotiations led by the Strathbungo Society centered on two points; firstly the need for a more appropriate fence design, and secondly that it needed to be on their land, further back than the existing fence. Eventually Network Rail conceded, leading to the new fence design erected in February 2017. The following is the historical research that led to their concession regarding the position of the fence. It is recorded here for posterity. Ordnance Survey 1:500 Town Plan of Glasgow mosaic, 1892-94 showing Strathbungo developing into the area we are currently familiar with. 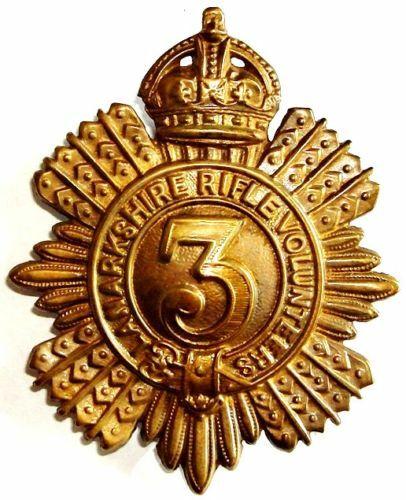 This is the remarkable story of a bunch of army reservists who set up a volunteer rifle corps in Strathbungo, and within a few years had won both Britain’s greatest trophy for marksmanship, The Queen’s Prize at Bisley, and Scotland’s greatest football trophy, the FA Cup. Twice. Oh, and the football league. Sharpshooters indeed!